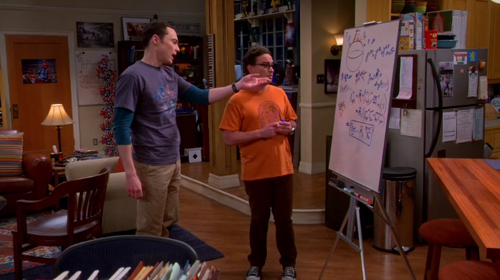 Surely many of you see Big Bang Theory (the number of physical) and for sure you have seen until last season where Leonard, along with Sheldon, but especially Leonard talks about a theory which is the space is a super fluid and as “the” (next to Sheldon makes calculations) they are making up that theory. Well, sorry to contradict the series since that theory existed for some time (1975) does and is called “Empty Superfluid”. The theory of superfluid vacuum stems from a particular solutions of the equations of string in which the vacuum is not empty but is such a resilient set of fermions and antifermions. So it has a fundamental wave equation (if empty) that calculates the force of gravity with some assurance. So that we understand space is considered as a mass. In a mass waves it can be transmitted as the motion of the particles against each other. It can be understood better if we think of as the sound is transmitted over any medium. As, obviously, the vacuum is not something that can be seen as a mass for our eyes, we invented (by way of simplicity) that space-time is like a jelly which, thanks to it, can be transmitted waves, such as such as light (which, one of his qualities is a wave, by the way) and incidentally, we use a particle that has become very fashionable, phonons. Thus many of the problems of emptiness, not be nothing, are solved by the vacuum, quantum perturbations of it (you know, QUANTUM, a Planck scale) explain as everything moves and spreads . Hence, thanks to this idea has been that the whole space-time is like “a sponge” capable of absorbing energy, like any mass. Also explains the speed limit of light because, as we know, in a fluid, a gas, a liquid, a body (remember, light is wave and object) can not move faster than a certain speed by frictional forces. So friends, do not think that Leonard has invented it or something is, what counts in the series, which has no similarity in real life.